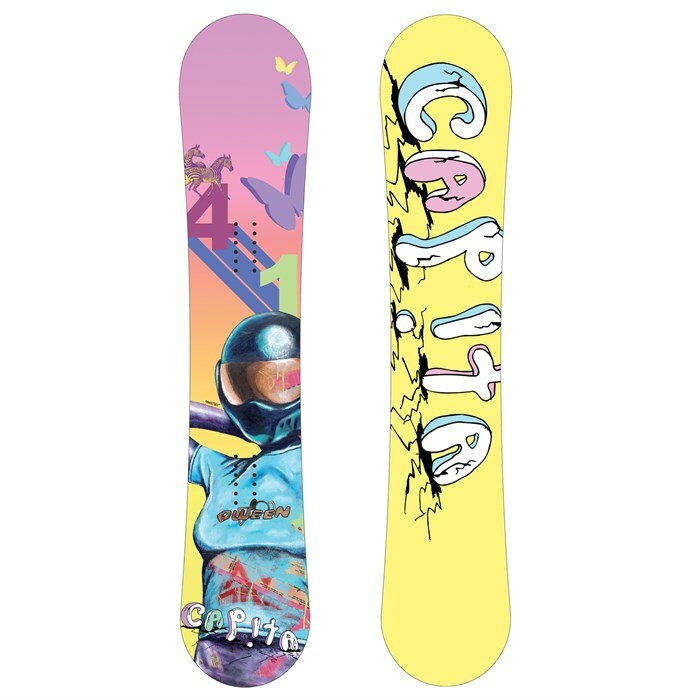 CAPiTA Qween Snowboard - Women's 2009: The CAPiTA Qween Snowboard is lightweight, easy to ride through variable terrain, and engineered specifically for female riders. The SS Select core is super reliable. It’s made of laminated poplar wood for a consistent flex you can count on. The sidewall construction provides stability while the carbon enhanced glass and lightweight core matrix provide power and precision to the progressive freestyle female rider. To be Queen of the Hill, you need the CAPiTA Qween Snowboard. 2 Years, Infinite Beers Please note that only items sold as new, blem or with damaged packaging are eligibile for the listed warranty.